» Where on GoogleEarth? WoGE #346 – updated with hint! Where on GoogleEarth? WoGE #346 – updated with hint! Matthew’s WoGE #345 looked pretty much like an ocean shoreline, but it turned out to be Lake Khanka located at the border of Russia and China. This lake is very shallow but has a large area and it is famous for its biodiversity and strongly influenced by flood events. There have been plenty of beach-WoGEs lately, so I decided to take you to another environment. Provide the coordinates in the comments. Describe the geological significance of the spot briefly. You might spend some time looking for the right spot instead of writing thesis, paper, proposal. The next capital is 220 km away. The next picture is nine times as large. This image is nine times larger than the previous one. The next capital is ~220 km away. Please concentrate on the first (small) picture for the description of the geology. 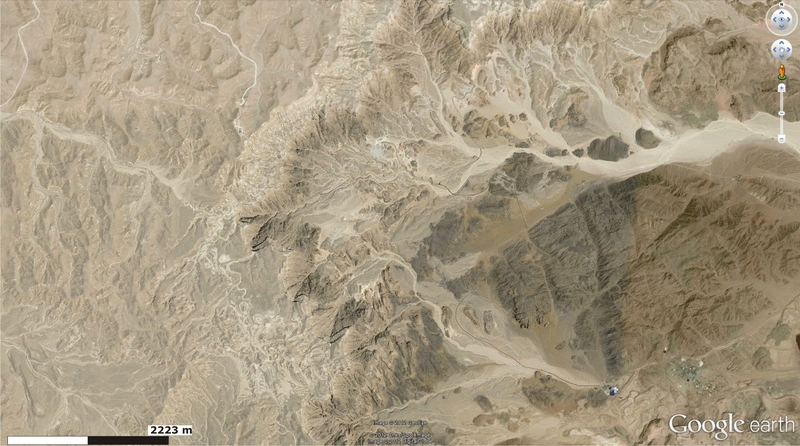 I think this one is a WOGM … Where on GoogleMars! But we do have roads and houses. On road ends, so there has to be something which is interesting enough to build a road. 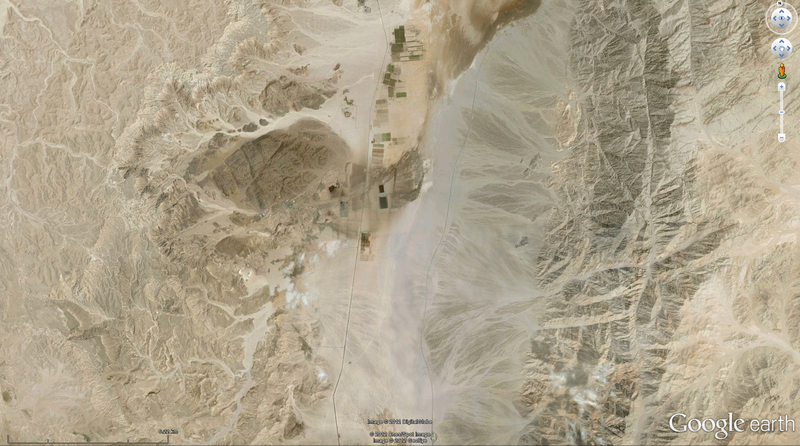 If the scale of 6km on the second image is true, the road is fairly broad. It is the Timna National Park in Israel! This is known as a copper deposit, which has been mined in prehistoric ages already. Copper mineralization occurred in the Early/Middle Cambrian (~525 Ma) Timna Formation, Timna Valley, southern Israel, ~25 km north of Eilat. Refs: Shlomovitch, N., Bar-Matthews, M., Segev, A., Matthews, A. 1999. Sedimentary and epigenetic copper mineral assemblages in the Cambrian Timna Formation, southern Israel. Isr. J. Earth Sci. 48: 195–208. Max, congratulations! WoGE #347 is yours. Where are you going to take us?